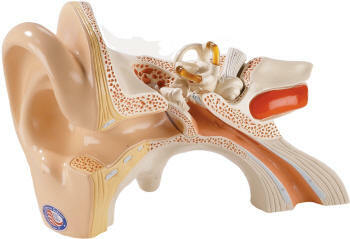 After sight, hearing is the sense that provides the brain with the most information about the outside world. 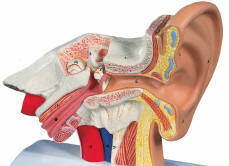 Compared with other animals, the human ear registers a fairly wide range of sounds. These vary in volume from the delicate notes of a flute to the ear-splitting chords of a heavy metal electrical guitar. They vary in pitch from the deep thunderous roar of a jet engine to high trills of a bird song. The ear has three main parts. 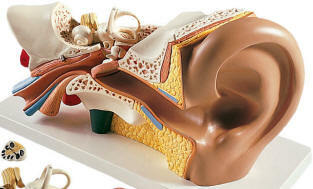 The outer ear consists of the ear flap and auditory canal, the middle ear contains the eardrum and the tiny bones, the ossicles, and the inner ear comprises the nasal shaped cochlea, semicircular canals and other fluid-filled chambers. 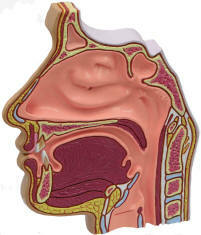 The nose is the means by which we smell or olfaction. 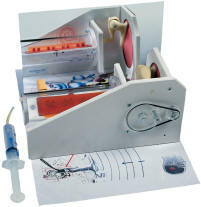 This lets us detect the presence of many things. 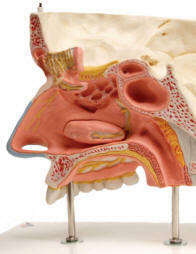 The Ear, Nose and Throat are tightly interrelated and are together treated as a medical specialty - Otolaryngology. 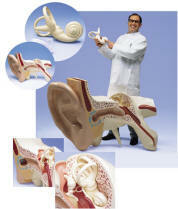 Our anatomical models are suitable for medical schools and are great for patient education.